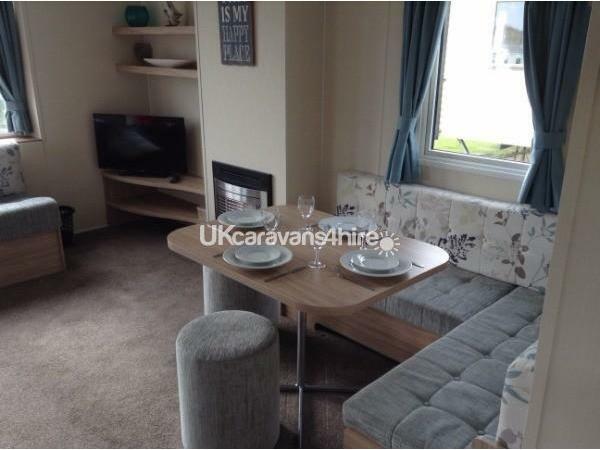 A £100 non-refundable deposit will secure your booking. The balance must be paid 4 weeks prior to your arrival date. 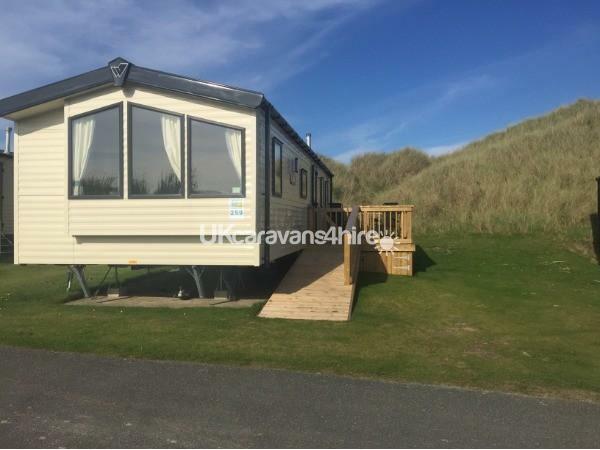 If you book within the 4 week period, payment must be made in full at the time of booking. Payment can be made by Bank Transfer, or Cheque via our secure payment portal. A receipt will be provided when payment has been received. 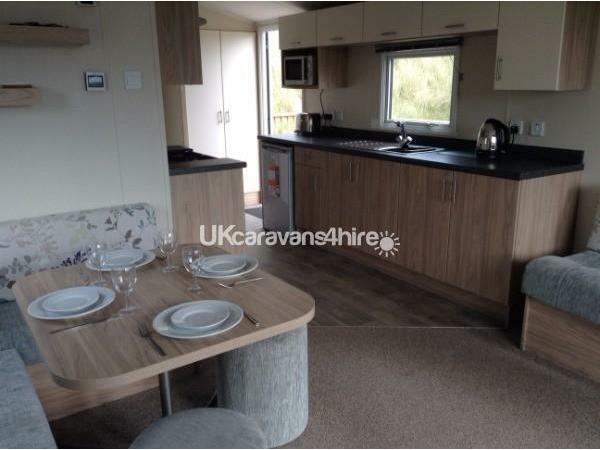 New 2016 Deluxe 2 Bedroom Willerby Salsa Eco. 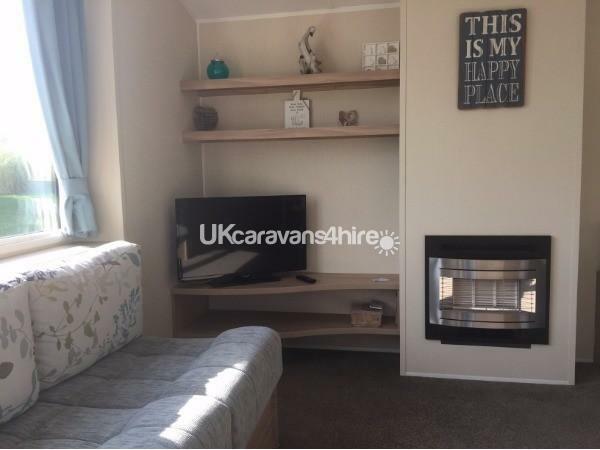 Spacious, open plan area has a modern feel, with a large L-shaped sofa which includes a pull out double sofa-bed, 32" flat screen TV and a Bluetooth speaker system. 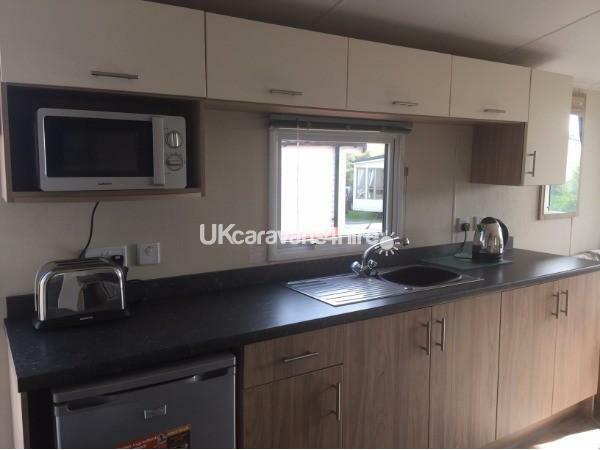 This contemporary kitchen comes complete with all the necessary cooking equipment and utensils and comprises a full sized oven and hob, fridge with freezer compartment, microwave, kettle and toaster. Dining area includes rectangle table, L shaped seating and two grey stools. 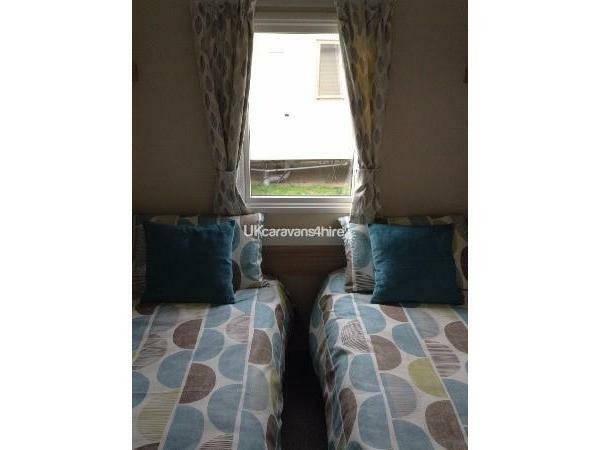 A double bed, complete with pillows, duvet and sheets to ensure you have a comfortable and relaxing holiday. 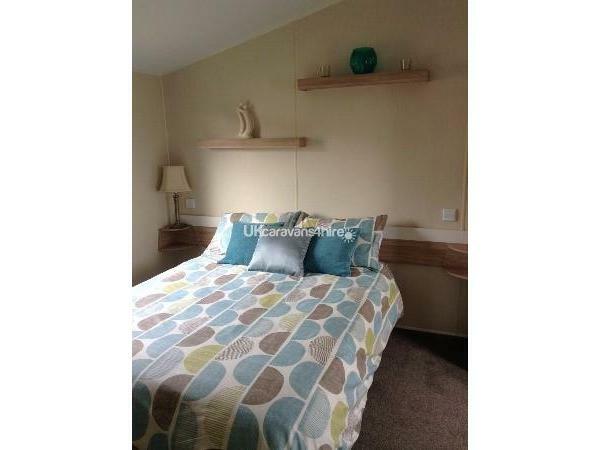 Plenty of storage with two double fitted wardrobes and a drawer unit as well as a hairdryer. 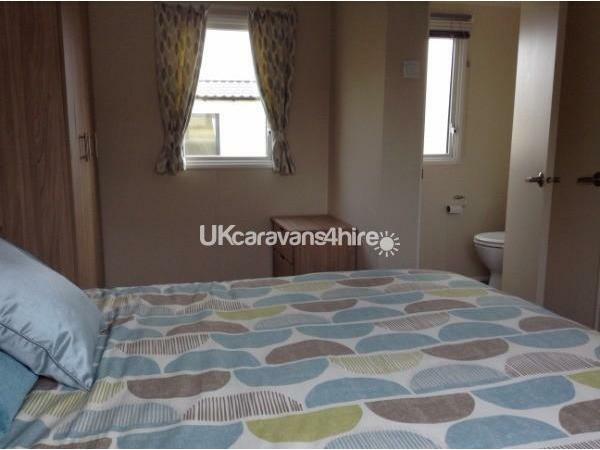 This bedroom has two single beds, complete with all bed linen and a small wardrobe. 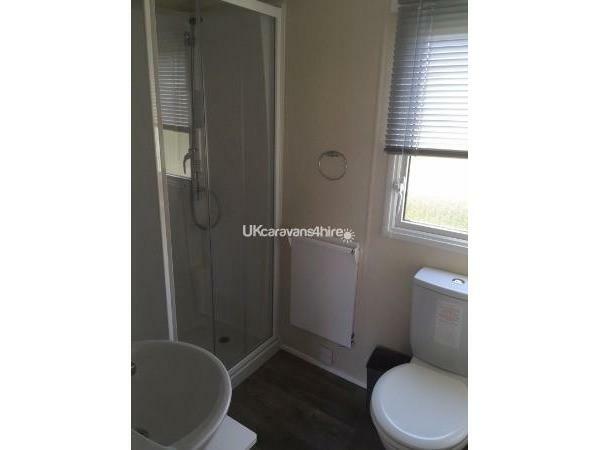 The bathroom contains a large shower, wash basin, WC and a heated towel rail. 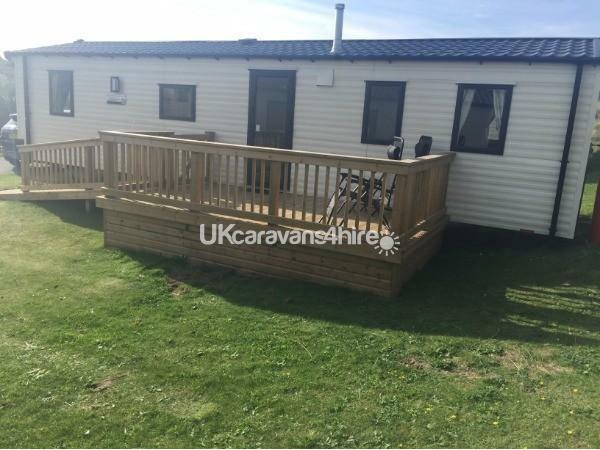 Parking for two vehicles as well as a spacious south facing decking area with table and chairs. Passes are available from Haven at the reception which can be purchased on the day of arrival. 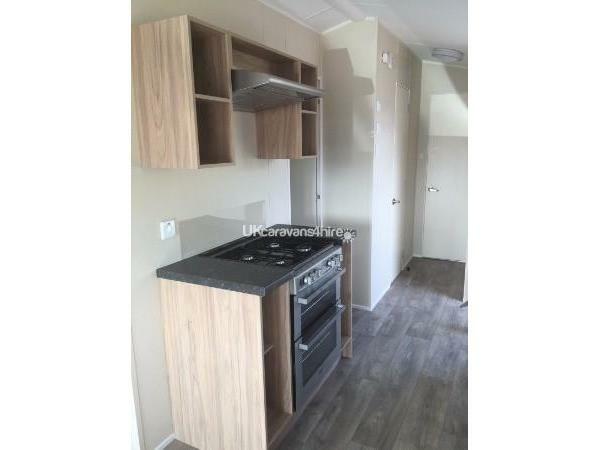 Prices vary depending on season and are not included in the rental price. Keys collected from reception. Check In from 3pm and Check Out at 10am.